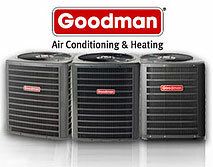 Cooling Services - Heatmaster Systems Inc.
At Heatmaster Systems Inc., we understand two very important things: air conditioning is an integral part of enjoying the summer sun, and getting a repair can often be time consuming, inconvenient and costly… but it certainly doesn’t have to be. When you call us, one of our certified technician will contact you within 3 hours to assess your needs. From there we will set up an appointment to come check it out, or provide you with a walk-through over the phone if it’s a simple fix. During the installation, our technician will inspect your air conditioner for any hazardous problems, including: excessive debris, leaks, and more. 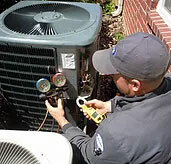 We will conduct a full diagnostic report, and provide you with a recommendation and quote. Clients can rest-assured that there are no hidden fees, and that we will never recommend unnecessary add-ons to inflate costs. To ensure that your air-conditioner is up to code, regular maintenance checks are highly recommended; getting regular diagnostic reports for the health of your air conditioner will help keep prices low, as it will give us the opportunity to find issues when they are still small. Our maintenance package provides you with several options, and come with a reminder notice when your next service is due.